The Golf Towel caddy is a great item for tournament players or for the pro shop. Your ball marker is always handy! 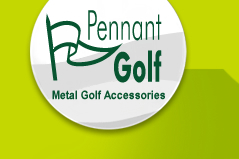 Don't Forget - you can use the same ballmarker in our divot repair tools and hat clips!! TC0100E - Die cast towel caddy with leather strap to attach to your golf bag. 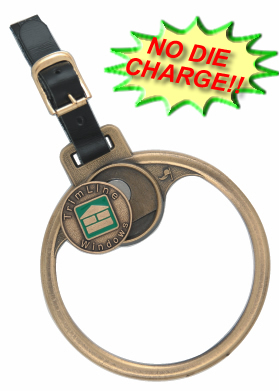 Comes with one magnetic custom ball marker (in your choice of styles below). Ball marker is held in place by super strong rare earth magnet. Also available in antique pewter finish. Standard packaging is individually polybagged.